Ben Hoare Bell Partner and Family Solicitor Mark Harrison is the Immediate past President of the Newcastle Law Society. As part of his role as President Mark contributed a monthly column to the Society’s magazine – ‘Newcastle News’. Here you can read Mark’s articles. If you would like further information about Newcastle Law Society or its monthly magazine please contact the Law Society directly. 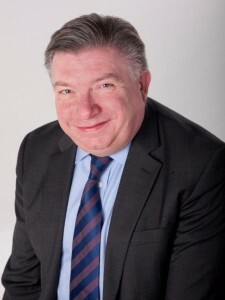 Mark has been a family lawyer for over 30 years and has prior experience on the Society Standing Committee, serving for several years in the mid 1990’s. He has been a member of the Law Society Children Panel since 1994 and has Higher Rights of Audience (Civil). I do not know how many individuals have been Members of this Society since its inception in 1826. I would expect that the number would run into several thousands. During this time there have been less than 200 Members elected as President. I am therefore, in comparative terms, one of a privileged few and I can say without fear of contradiction that it truly has been an honour to serve the Society as its President. During my year in office I have had the opportunity to engage with a wide number of Solicitors from various disciplines and geographical areas, as well as other professionals with some connection with the law. It has been a most rewarding experience. One of the tasks as President is to meet with the Members over lunch at various locations in our area. I have had the pleasure of visits to Hexham, North Tyneside, North Northumberland and Durham. I have also met Members in Gateshead (though that is hardly a visit as it is on home territory!). This was, I believe, the first presidential visit to Gateshead since the late Tony Smith’s visit in 1992 as the last Gateshead President. I hope that this is something which can be continued by my successors as along with all of the meetings with the Members which I have undertaken, it was extremely useful to discuss and understand the various issues which affect our diverse membership. I also spent a very pleasant few hours at lunch with the Retired Solicitors Society. Although I am hardly a newcomer to the profession myself, it was fascinating to hear some of the anecdotes about life in practice not that many years before I was admitted and before the advent of word processing and e-mail! I have found that it is not only important to engage with Members of our own Society, but also our colleagues and neighbours in other areas. For many years there have been regular meetings between the Societies of Newcastle, Sunderland and Tees Valley. Very recently your Committee has agreed to form an association with a group of other local Law Societies who have demographic similarities, in that they represent members in both town/city and country areas (Devon and Somerset, Cheshire and North Wales, Kent, Surrey and Leicestershire). 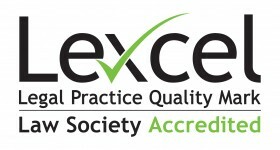 The aim is to promote a greater voice derived from a combined membership of over 4000 when speaking with national bodies including the Law Society, joint Parliamentary lobbying, shared knowledge of effective economic trends across England and Wales, sharing best practice and the sharing of seminar and conference speakers. This in my view is an exciting development, which can only be to the long term benefit of the Society and its Members. On the subject of communication with the profession more generally, the Law Society have recently revised their Regional Office arrangements. Thus far this appears to have achieved its goal in that the level of communication between the Regional Office and thereby the National Society has improved massively. Their representatives are regular visits to the Region and a monthly update by way of a newsletter allows us to be kept abreast of what is happening at Chancery Lane. This has of course been augmented by visits to our area from the National President and Vice President. The Vice President, Joe Egan, was one of the distinguished guests at the Annual Dinner in November. He, along with a local Family Silk, Nick Stonor QC, gave highly entertaining after dinner speeches. The dinner was held on a Friday evening for the first time and I believe that it was a great success. Another first for the dinner was a presentation from the Society to recognise the achievement of some of our newly qualified Solicitors. Certificates were presented by Joe Egan. It was very encouraging to see so many younger members of the profession in attendance. I have tried during my presidency to engage with the Junior Lawyers Division and to support them wherever possible. After all the Junior Lawyers of today are the Newcastle Law Society Members, Committee Members and Presidents of the future. The Annual Summer Party was also a great success and was a sell-out. We were blessed with a perfect venue and perfect weather. The Dinner and the Summer Party have raised a significant sum for McMillan Cancer Support, my chosen Charity this year. I was also invited by JLD to speak at their Annual Ball. They were attentive and enthusiastic, though I did feel quite old. There have also been efforts this year to raise the profile of the Society amongst in-house lawyers with a view to encouraging membership. The Society is a member of the Newcastle Intellectual Heritage Group, which is an association of Societies with a particular interest in historical issues. It was our turn this year to host the group and I was involved in the giving of a presentation at the Moot Hall. There was great interest from all in attendance in the history of the building itself and also the Society. I also had the opportunity to reminisce in one of the Judge’s Chambers, being the venue of some terrifying experiences of mine as an Articled Clerk making bail applications to Crown Court Judges. I represented the Society at the Matins Service for the Courts at Durham Cathedral and at the service at Newcastle Cathedral for the opening of the legal year. I was also fortunate enough to be invited to the service for the opening of the legal year at Westminster Abbey. This was a tremendously memorable experience. During the year the Committee has responded to various consultations in relation to local and national issues and will continue to do so. I have mentioned above engagement with members during area visits, but, as I have said before, it is important that members bring to the Society’s attention any issues with which it can assist by giving support and representation. This is your Society and it depends upon its Members to make it work. This is particularly important as we as a profession continue to face an uncertain future. The full ramifications of the outcome of the EU Referendum are still not fully understood. It is inevitable that the triggering of Article 50 of the Lisbon Treaty will have an effect on the profession and our clients. There are challenges ahead in relation to access to justice. For example, there are reforms proposed in relation to the small claims limit which will have a drastic effect on the availability of representation in personal injury cases and which will in turn have a great effect upon those who practice in this area. Locally, proposals for Court closures appear to be well advanced without any hint of consultation having been considered by the powers that be. The Court system is grinding to a halt due to a drastic lack of resources and an increasing number of litigants in person. On a slightly more optimistic note, the Government have promised a review by April next year of the Legal Aid provisions which slashed eligibility and in part caused the significant increase in litigants in person. We can but hope that something positive can come out of this. I have thoroughly enjoyed my year in office as your President. I am grateful to the Members for electing me and to the Standing Committee for its support throughout the year. I also thank Kate Goodings, our Director of Operations, and our Administrators, Mandy and Shirley, whose patience I have sorely tested throughout. Finally, I wish my Successor, Lewis Pearson, the very best of luck in his year in office. The Society’s Annual Dinner took place on the 11th November at Newcastle Civic Centre. I believe it was a great success. Amongst the distinguished guests were Joe Egan, the Vice President of The Law Society of England and Wales, and Nick Stoner QC, both of whom made speeches after the dinner. They were highly entertaining and thankfully the ribbing of me as a result of the football team I support was kept to a minimum! We raised a tidy sum for my chosen charity, McMillan Cancer Care. This along with the funds raised at my Summer Party will be presented to them very shortly. I would like to thank all those who attended for their support of the Society and myself. I hope that those of you who were unable to attend this year will be able to do so in the future. In the last few weeks I have also made area visits to speak to members in North Northumberland and in Durham. I am grateful to them for the generous welcome they gave me. It was very helpful to hear from those practising in different geographical areas of the issues which affect them on a day to day basis. I would stress to all of you that, as I have said before, this is your Society and it is important that if you have any issues, you raise them with the Society. This is your Society and we need your input to advance any points on your behalf. I had the honour of judging the entries to our annual Christmas Party competition. The quality of the submissions from our budding junior artists were of a very high standard. It was a difficult decision and James Reed was the eventual winner and I hope you enjoy seeing his picture of the newsletter. 2016 has been a significant year for me in fulfilling my role as your President. As we near its conclusion I would like to take this opportunity to thank you for your support throughout the year and to wish you all a Merry Christmas and a happy and prosperous 2017. The last month or so has been a very busy time. Not only have I been involved in the preparations for the annual dinner (which will be covered in detail in the next edition), but I have had the honour of representing the Society at the ceremony for the opening of the legal year at West Minster Abbey, which took place in early October. This was a truly memorable event, hosted by the Lord Chancellor and attended by senior members of the Judiciary and other legal dignitaries. Ours was one of a relatively small number of local Law Societies invited to participate and so it was a privilege to be there. We have also recently had our annual lunch meeting with members of the Northern Society of Chartered Accountants. This was a great opportunity to network with other professionals, though it must be said on this occasion it was more of a social event than a business lunch! As you are probably aware, NORSCA has a long and proud history, not dissimilar to that of our own Society. They are the subject of an interesting piece later in this edition of the newsletter. I was also invited to attend the swearing in of District Judge Nicola Shaw, who will be well known to our members of who are Family Practitioners. She will be based at Teesside initially. On behalf of the Society I wish her well. In the past few weeks there have been three topics in the Legal News which have caught the eye and which are distinct, but also related to one another. Many of our readers are Legal Aid Practitioners, but there are also many of you who will never have had to deal with the Legal Aid Agency in its current or any of its previous guises. There are currently ongoing applications for Legal Aid Contracts being made by criminal firms. One of the terms of the contracts being offered by the LAA is an ’embarrassment clause’. The object of this appears to be that any firm or its affiliates who embarrassed or otherwise brought into disrepute the Legal Aid Agency so as to diminish public trust in it, would be subject to sanctions under the contract, which could include a contract notice of ultimately withdrawal of the contract. The effect of this could mean that any justified public criticism of the LAA or challenge to them could be construed as a breach of the contract. A restriction on the right to free speech you may think. I am pleased to say that following the threat of judicial review, the LAA have agreed to re-draft this clause and has conceded that it should not seek to rely on the clause to prevent criticism of or challenges to the Legal Aid Agency, the Lord Chancellor or wider government. Whilst it may have been preferable that the clause was removed altogether, I believe this represents a significant victory for the profession. On the issue of freedom of speech, there have been many column inches printed in relation to the Divisional Court’s decision in relation to the operation of Article 50 of the Lisbon Treaty. As you are aware, certain sections of the press mounted personal attacks on the Lord Chief Justice, Master of the Rolls and Lord Justice Sales, who comprised the Court. They have been described as ‘enemies of the people’ and ‘unelected Judges making a shock decision’, this being justified by the press and certain other commentators as being an example of the freedom of the press. It does, however, seem to me to be an attempt to undermine our independent Judiciary and consequently the rule of law. Thankfully the Commons Justice Committee and other senior figures have come to the defence of those members of the Judiciary involved. Freedom of speech is not a licence to attack Judges in a personal manner or to seek to undermine judicial independence. Following on from this, the Lord Chief Justice recently laid his annual report before Parliament. In this he highlights the significant increase in family cases coming before the Courts, which is a major concern for the Judiciary. Somewhat surprisingly he indicates that the reasons for the increase are not well understood. It seems to me that the underlying reason is blindingly obvious. The Government chose not so many years ago to decimate the Legal Aid system, thereby preventing parties in family cases accessing professional appropriate advice in their cases which would assist them in resolving them without recourse to litigation. Once there are no Lawyers to give this advice, which is the situation we have in many cases, litigants in person often see the Court as the only option. The Court system is therefore overloaded. This point was made very clearly by many interested parties, including our own Society, when the consultation into the last provisions took place several years ago. I suppose it is easy for us all to say ‘I told you so’, but this is the situation we are now in and sadly there seems to be no immediate remedy to the problems that exist. All of this serves to erode the concept of access to justice. One commentator has suggested that perhaps the Lord Chief Justice and the Senior Judiciary should open their eyes to the problem. I would thoroughly endorse that. When I last wrote a column for the July edition of the Newsletter, we were putting the finishing touches to the preparations for the Summer Party which took place at Eslington Villa in Gateshead on the 14th July. I am pleased to say that the event was a resounding success. We were blessed with beautiful weather which allowed us all to fully appreciate the gardens at the venue. The food and the service provided by the hotel were magnificent and the musicians provided us with great entertainment. I am very grateful for the support of all those who attended and who helped make this such a memorable evening. The next major event on the horizon is the Annual Dinner which will take place on the 11th November. This is being held on a Friday evening for the first time. We will have the honour of welcoming the Vice President of the National Law Society, Joe Egan, who will be speaking at the dinner. I hope as many of you as possible are able to attend. There are many of you I haven’t met and this would be a great opportunity to do so. On the 23rd September I represented the Society at the National Conference of Local Law Societies in Birmingham. It was very helpful and informative to meet with representatives of various other Societies to share ideas. I believe that there is a great deal of merit in maintaining links and collaborating with colleagues, as we have done for many years with our friends at Sunderland and Tees Valley Law Societies. Also in this edition you will see the Society’s response to the SRA’s consultation in relation to proposed amendments to the SRA Handbook and to the Solicitors Accounts Rules. The SRA’s proposals, if enacted, are potentially far reaching and could have the effect of creating a ‘two tier’ profession. I hope that as many of you as possible (or your firms) were able to respond to this consultation in view of the potential consequences. I am very grateful to all those involved here at the Society who contributed to the consultation submission. Finally, as our criminal practitioners are probably aware, we have a new District Judge in the Magistrates Court. District Judge Kate Meek was sworn in on the 8th September and will be based at Newcastle Magistrates Court. Most of you who practice in crime will already know her from her time as an Advocate. I certainly know her very well as she was a Partner in my firm before her elevation to the Bench. On behalf of the Society and members of the solicitors profession generally, I welcome her to her new position. I am sure that she will be a great success. Ben Hoare Bell’s loss is certainly the Judiciary’s gain! When I wrote my column for the June edition of Newcastle News, it seems that the world was a rather different place. Since then we have of course had the EU Referendum. Even in the short time which has elapsed since the result of this, it is clear that the lives of ourselves, our families, our firms and our clients may be subject to significant change. It is of course too early to tell what effects there may be in the long term and, if and when the withdrawal from the EU actually takes place. There may be difficult times ahead. There may be threats and there may be opportunities. Whatever the position, we as Solicitors have needed for many years to be flexible and adaptable. Challenges we may face in the near future will certainly put our abilities to the test. On a less ominous note, since the last edition I have had the privilege of being invited to lunch by the Retired Solicitors Group. I spent a very enjoyable couple of hours in their company and some of them shared with me some fascinating anecdotes about their experiences of their younger days and when practising as a Solicitor was far different to nowadays. I suppose the fact that we are all still here and going strong illustrates my point that we are very adaptable as a profession. As I write this we are making the final preparations for my summer party. I am looking forward to this enormously. There will be a full report on this in the next edition and I hope that I will be reporting that we have raised a substantial sum of money for Macmillan! As I sat down to write this column I realised that it is over three months since I was elected as President of the Society at the end of February this year. In other words, over a quarter of my term of office has gone almost in the blink of an eye! When I first became involved with the Law Society Committee in the 1990’s I believed that I knew or knew of the vast majority of the Solicitors practising in the North East. I discovered rather quickly that I was suffering from a rather significant misapprehension. I suppose that I had not really appreciated the breadth of practice areas, types of firms and the various individuals who made up the profession in our area. The number of practising Solicitors has expanded since then and of course the profession continues to become more diverse. I say this because over the last couple of months I have had several opportunities to meet with fellow Lawyers (and other professionals) and it has been a fulfilling and enjoyable experience to learn of their views of the profession and life in general and to be able to keep people informed of the work of the Society. During this period I have had the privilege of representing the Society at the Presidents and Secretaries Conference in London. This gave me the opportunity to see how other Law Societies work and to learn from them ways to strengthen our own Society as well as being updated by the Officers of the National Law Society as to developments at Chancery Lane. We were also honoured with a visit from Jonathan Smithers, the National President, who spent some time over lunch speaking to members of our Committee and others. It transpires that in addition to his full time job as the President, he is an avid Chorister and a serial participant in legal walks – he took part in the sponsored walk to raise funds for local charitable legal organisations whilst he was in the area. We have had a joint meeting with our colleagues from the Sunderland and Tees Valley Law Societies to share information and discuss further opportunities to work together in the future. I have also kindly been invited to speak to Solicitors in the Hexham and North Tyneside area to outline to them the work the Society is doing and also to seek their views on anything they would wish us to take forward. The Society also recently hosted a meeting of the Newcastle Intellectual Heritage Group, made up of members of various historical Societies during which I gave a short presentation about the history of the Society at the Moot Hall in Newcastle. We were also treated to a highly entertaining and informative speech by District Judge Peter Pescod, who is a long standing member of the Society and who regaled us with anecdotes of his experiences in practice before his elevation to the District Bench. All of these meetings and events have shown me the benefit of having a strong Law Society which represents the interests of its members. To that end, I would urge any members who have any suggestions or contributions to make in terms of the work the Society does or can do to contact me or any other member of the Committee. After all, this is your Society and it needs to meet your interests. Finally, a shameless plug. You will see later in this issue information about the President’s Summer Party which will take place on the 14th July in Gateshead at the beautiful Eslington Villa. I am sure this is an evening everyone will enjoy, but in addition, I hope that it will raise a lot of money for Macmillan Cancer Support, my chosen charity this year. I am sure that you would agree with me that this is a most worthwhile cause and I hope as many of you as possible can join me then. A very long time ago when I was a young Lawyer (in other words in the dark ages) there wasn’t very much by way of an organisation for the benefit of the more junior members of the profession. Today we are very fortunate to have the Junior Lawyers Division of the Law Society and even more fortunate that we have a very strong branch of the JLD in Newcastle and the North East. They are a personable, committed and enthusiastic bunch and this month they have kindly produced the Newcastle News for us. I hope that you enjoy reading their contributions to the magazine and that you will in the future give them the support they deserve. These young Lawyers are the future of our profession and as you will see from their efforts in producing the magazine, it seems that the profession is in good hands. It was a great honour to be elected as the 190th President of Newcastle Law Society at the AGM on the 29th February. At the last count the Society had 891 members, all of whom receive the Newcastle News. Whilst there are many who already know me, I expect that the majority of you do not, so please allow me to introduce myself. I was admitted as a Solicitor in 1985 and since qualification I have always practised in Gateshead. For most of this time I was a Partner in Foley Harrison until our merger with Ben Hoare Bell LLP four years ago. In my early days, as was customary in High Street practices then, I would turn my hand to most cases which came through the door. 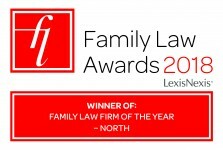 However, over the years specialism has been the order of the day and for some time now I have been a Specialist Family Lawyer and I am Head of the Family Team at my firm. A great majority of the work I have undertaken throughout my career has been publicly funded and clearly there have been massive challenges to Legal Aid Lawyers for many years now. I served on the Society’s Standing Committee for five years or so during the 1990’s when the Government’s assault on Legal Aid Practitioners began in earnest, so I have long experience of dealing with challenges affecting the profession. I was first persuaded to become involved with the Society by Tony Smith, who at that point was President (and in fact the last President to practise in Gateshead) some 23 years ago. At that stage I had little insight into the workings of our Society and what it could do to represent the interests of the profession. I often used to think “What does the Law Society do for me”. At the end of the day, this is your Society and if members have any issues which they feel need to be aired, then they should make their views known. The Standing Committee will shortly be considering the priorities for the Society for the next year and if any members wish to contribute to this, please contact me. I would encourage you to do so. Since my election (and indeed shortly before) I have been busy representing the Society at various events. You will have read David Gray’s article about the Human Rights Defenders in Columbia in the last edition of Newcastle News. Mick Macgregor and I attended their presentation in February and it was enlightening. I remarked to Micky that we as solicitors often complain about issues such as frustrations of Court listing and difficult clients, but the Columbian Lawyers face personal and professional challenges which are unimaginable to most of us. They truly deserve our support. The issue of equality and diversity within the profession is a hot topic. LAGLA (Lesbian and Gay Lawyers Association) North East Branch held a panel event which I attended. There were some powerful discussions about the experiences of attitudes towards members of the LGBT community within the legal profession. There will be a comprehensive report upon the event later in this issue and I would urge you all to read this. I also attended the swearing in ceremony of our new District Judge (Magistrates Court), Sarah Jane Griffiths, who by now will probably be known to many of our members who are Criminal Practitioners. I was privileged to be able to welcome her to her new post on behalf of the society and we wish her the best of luck in her new role. I was also kindly invited by our colleagues at the Tees Valley Law Society to their Annual Dinner which was a very entertaining and enjoyable event. We will shortly be hosting a joint meeting of representatives of all of the North East local Law Societies to assist in maintaining our links and discussing common interests of the profession. Finally, a few words of thanks. Firstly, to our learned Editor, Paul Hanratty, for his kind words in his editorial piece in the March edition of the Newcastle News. Those of you who read it will recall that he (amongst other things) praised my skills as a goalkeeper. Sadly I fear his recollection of my competence has been clouded by the mists of time. Secondly, I would wish to thank Micky Macgregor for all of his hard work during his presidency. I hope that I will be able to continue to match his determination to deal with the issues facing the profession during my period at the helm.